The Internet Protocol (IP) is the basis for the Internet. Everyone who works in web development can benefit from understanding a few key things about it, and from learning more as specific projects require it. The basic problem for a networking protocol is moving data from one computer to another across some kind of connection. The Internet Protocol is connectionless, though, meaning that it doesn’t handle the details of the connection between the computer. The connections are handled by the Transmission Control Protocol (TCP), and the acronyms TCP/IP and IP are used somewhat interchangeably. When TCP is used, it refers specifically to the connections part of the pair of protocols. Many networking systems were tried before the Internet was begun, and many more have been discussed or put into use since. There have been competitions, which have sometimes even been referred to as “wars,” between these different standards. IP is the current winner, and will probably be the champion for a long time. A data file or data stream is divided up into pieces, called packets. Each packet has information that describes it, the source IP address it began at, and the destination IP address it’s meant to go to. Each packet is launched from the source address onto the Internet separately, and each finds its own route to the destination. Packets arrive in any order they might, and it’s up to the destination computer to re-assemble them into a file or data stream. The unsynchronized transmission and reception of packets leads to delays — the receiving computer has to get all the packets it needs to complete a file or a burst of streaming, and the receiving computer also has to take the time needed to put the packets in order and save them or stream them. 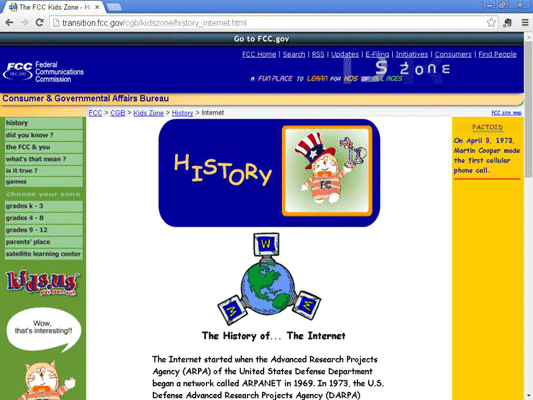 IP is so important, the U.S. Government sees fit to try to explain it to children. If you want to be taken seriously in discussions with technically literate people, don’t refer to “the IP protocol” or “the TCP protocol,” because the “P” in both acronyms already stands for “protocol.” If you add the word “protocol” afterward, you’re basically saying “the Internet Protocol protocol” or “the Transmission Control Protocol protocol.” Instead, refer to them both by either their full names or just the acronyms.